Over the years, unprecedented growth of multinational companies in Bangalore has given the city a complete makeover. Once famous for its countryside galore, Bangalore now is known as the IT hub of India brewed up with world class infrastructure set in tune with global standards. The city’s inclination towards a better work culture and space makes it one of the most preferred cities for entrepreneurial endeavours. As per the latest research data, Bangalore excels in the chart of cities that attract start ups. With established IT majors to small start ups in the race, there is an increased demand for office space on rent in Bangalore. 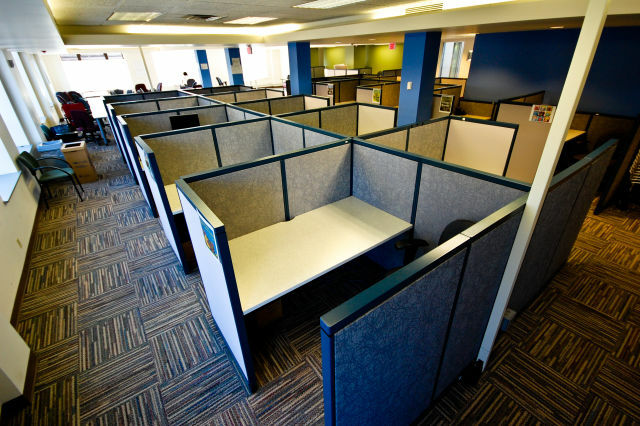 The entire concept of renting an office space has undergone tremendous change. When you say office space, it doesn’t mean that you have to rent a separate entity just for running your office. Running a separate entity comes with a maintenance cost of the building and paying bills for all the extra amenities. Imagine a situation when you get to work at someone else office on rent. Don’t be surprised but this is the concept of Plug & Play offices. You should try and minimise the infrastructure cost so that you utilize more resources to grow your business. It is always wise to rent an office equipped with all the modern amenities while starting a new business, instead of buying the entire set up. Plug & Play: How does it Work? Plug & Play space infrastructure gives you access to everything you need to run an office without any upfront investment, like 24×7 power back up, internet connection, computers, printers, and projectors. Office spaces can be accessed for short as well as long durations depending on your needs. This provides you with complete flexibility to relocate your business when it grows. Besides the luxury of time, Plug and Play spaces also give you the opportunity to choose a location based on your convenience with all the safety and security services. How Online Companies can help? Are you new to Bangalore? Don’t worry! Everyone who is trying to stage their business propositions on a wider platform is welcomed. Transforming an idea into practical functions of a business is a very challenging task. By addressing your workspace needs, various online portals help you in focusing on your brilliant ideas. Tell them your requirements, and they will provide you a list of Plug and Play office spaces in Bangalore registered with them at various locations. This will certainly save your time, money and effort giving you an edge to concentrate on your business while they work for you and bring the best of places available at your disposal. Once the list of preferred locations as per your requirement is in front you, they will co-ordinate your visit to the desired location and you can confirm the office space of your choice. These online companies understand and will take care of your space requirement and provide you with best possible results keeping in mind your budget. Enjoy and have a happy working ambience!